Like many motorhomers I occasionally find it more convenient to bale out the waste tank rather than driving round to the service point if staying put on a site for more than a couple of nights. 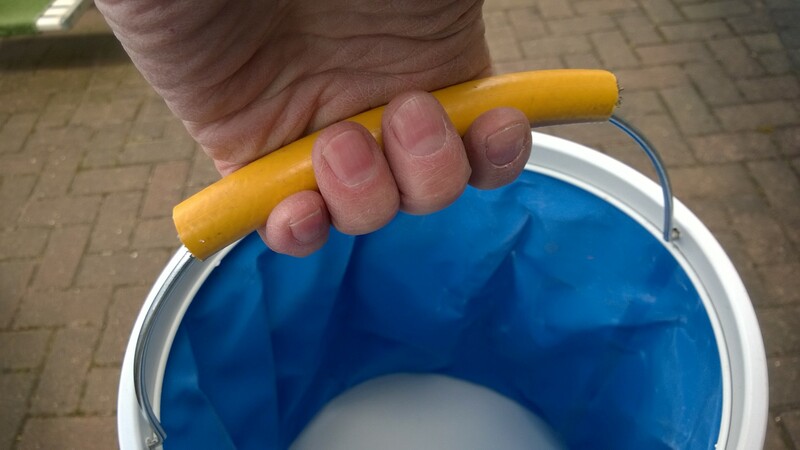 I have a 10ltr folding bucket and like most buckets they come with a thin wire handle that when carrying 10kg of water starts biting into your hand after a while. An easy solution is to unclip the handle from its fixing point and slide a short length of house pipe onto the handle then refix it.